When Svea and Velsheda face off at the Superyacht Cup Palma 2018 on June 20, there will be old scores to settle. 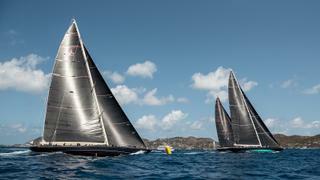 The two yachts fought a close battle for the J Class title at the 2018 St Barths Bucket, with Svea coming out on top despite Velsheda crossing the line first in four out of the five races. The Mallorcan showdown was originally set to be a four-way affair, however, the withdrawal of Topaz and Ranger (the latter having tragically lost its influential owner John Williams) means that it will be a straight shootout between Svea and Velsheda at Muelle Viejo this week. 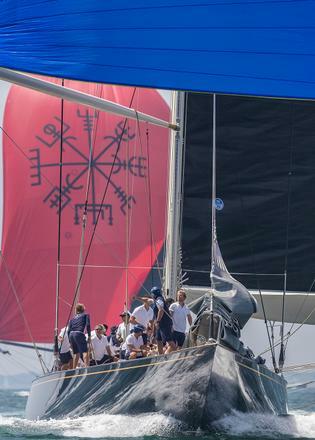 Both the owner and crew of Svea (pictured above) have plenty of experience in Palma, racing on board the Swan 90 yacht Odin, (now B5) but sailing the largest J Class yacht to date will be a different kettle of fish, admits tactician Charlie Ogletree. 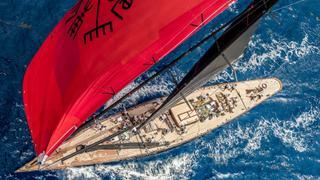 J Class yachts bring a sense of drama wherever they sail, and the Superyacht Cup Palma will be no exception, agrees Henshaw-Depledge. With 13 other spectacular superyachts due to line-up alongside Svea and Velsheda, this is one regatta that true sailing fans certainly won’t want to miss this summer. Boat International is the official media partner of the Superyacht Cup Palma 2018 and will be covering the regatta in detail.